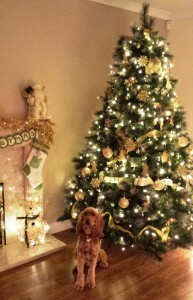 Vicki’s favourite was the stunning tree entered by Robin Gray and family. 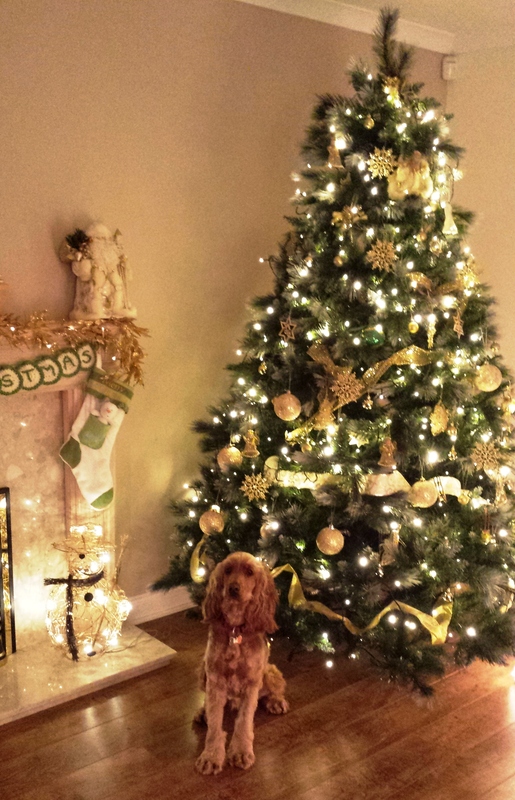 Bailey the spaniel redeemed himself by posing beautifully in front of the tree after being in the dog house for chewing his way through Peter Wilson’s passport last month. Congratulations to the winners and thanks to everyone who took the time to enter and a big thank you to Vicki for being our judge.